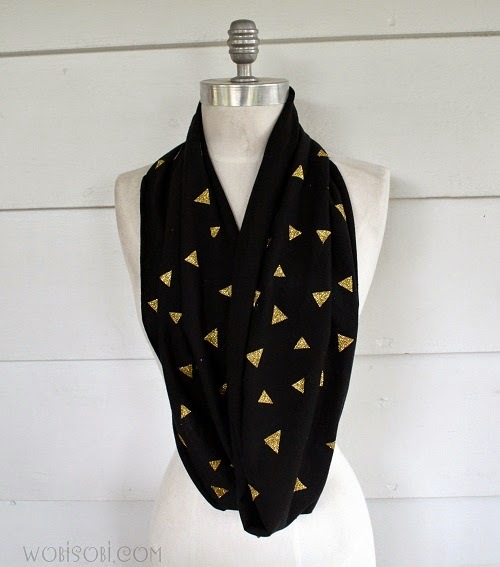 iLoveToCreate Blog: Easy Holiday Infinity Scarf. I love to put something warm around my neck when it is cold outside. 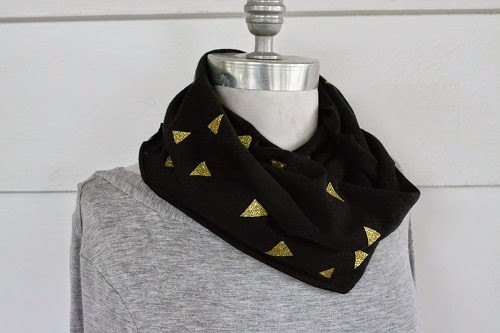 Making a inexpensive scarf out of a tee shirt is the best way to be creative and have a different scarf everyday. 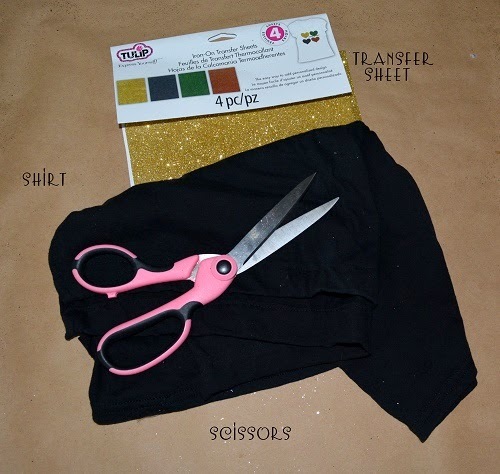 Tulip Glitter Transfer Sheets come in all different colors and are quick and easy to use, and if there is one thing I do not have right now is loads of time. This project took me about 30 minutes to complete. These would even make great gifts. 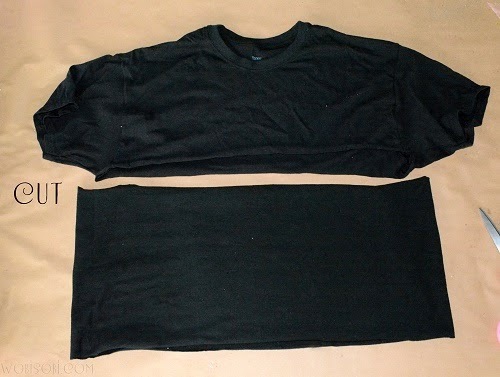 Cut your shirt about 12 to 13 inches wide. 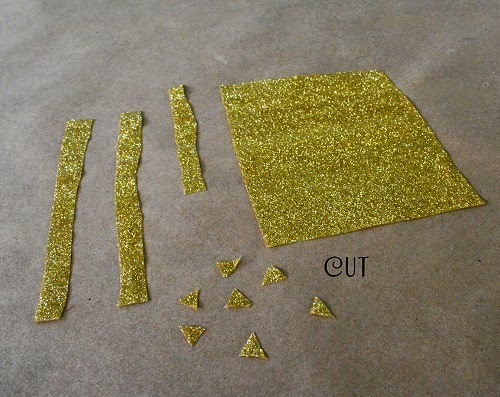 Cut your Tulip Glitter transfer sheet into strips then into different size triangles. 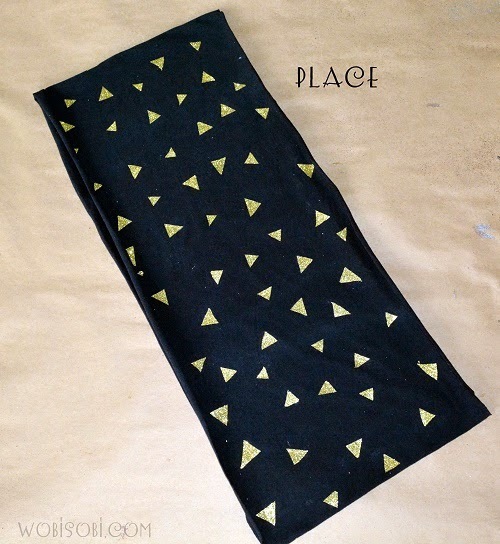 Place them glue side down on your scarf. 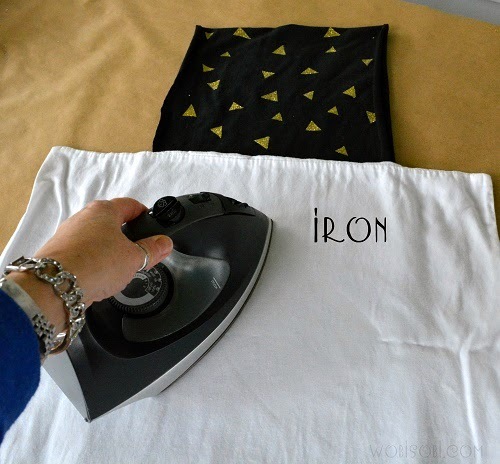 Place a thin scarf over the triangles and with a dry iron iron on the triangles. 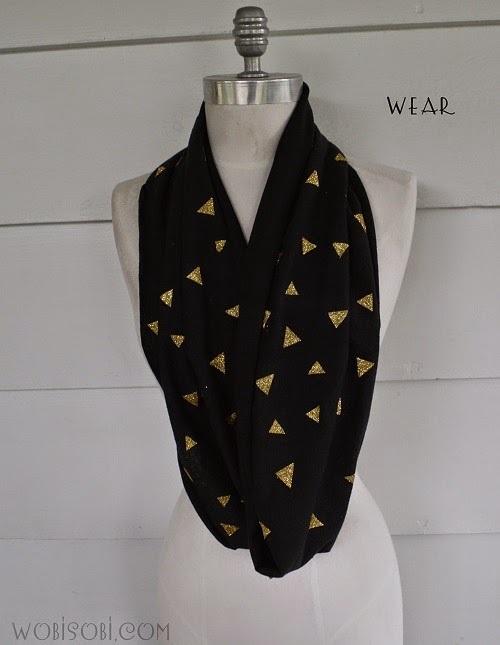 Flip the scarf over and do the same to the other side. The only thing that is left to do now is to wear it or wrap it up for that special someone. Can you use the top half for anything? That would be AWESOME!!! !